Fueled by an endless array of transportation options, global citizens are discovering new ways to get from point A to point B in their communities. This new “mobility mindset,” which embodies the twin characteristics of urban fluidity and efficiency, offers us the freedom to roam untethered to our daily connection points, with minimal reliance on cars. In the fall of 2012 I was tossed into this paradigm head on after a full-on face plant in the mud divorce. No longer possessing permanent mobility of the four-wheel variety (we were a one-car family), I found myself suddenly confronted with the question of how one gets around without the luxury of being regularly able to put key in ignition. Lamenting the loss of convenience, I decided to make a study of alternative transportation options locally as well as in cities I frequented. What I discovered was a legion of common, everyday people like me who, possessing no car, have found creative ways to scurry to their intended locations, be it a place of employment, grocery store or another regularly frequented place. As one of the premier mobility-friendly cities in the U.S., the Denver Metro Area offers the ideal ecosystem for assessing transportation resourcefulness. Despite opposing views by some lifelong area residents, the Mile High City’s transportation system is widely considered to be one of the most progressive in the nation. In fact, according to a U.S. News and World Report analysis, Denver was listed as the #1 city in terms of public transportation investment, ridership and safety in 2011. This distinction has undoubtedly been a major catalyst for the city’s robust economic and workforce development boom. Moreover a report by the public policy organization Brookings Institution ranked the Denver-Aurora area as having one of the nation’s most efficient systems for connecting companies to labor pools. The Regional Transportation District bus system in Denver (more commonly known as RTD) was my first foray into the life of a frequent bus rider. Admittedly, I had long viewed bus ridership culture as one that is gritty and low-class. Unfortunately, this was somewhat reinforced when I took my first trip on what is known as the 15L bus, a route that services Colfax Ave, the main street traversing the Denver-Aurora area. Known in some local circles as the “Vomit Comet,” this bus regularly attracts a cast of shady characters and late night drinkers that would put the uninitiated rider in a very discomforting situation. Judgments aside, RTD buses serve as an invaluable conduit for connecting riders to their daily routines, including work, grocery shopping, school, and various activities. I have generally found the drivers to be friendly as well as adept at navigating through what can be some rather challenging scenarios, be it traffic snarls or disrespectful patrons. And excepting days when there is severe inclement weather or an unanticipated accident, the buses generally tend to run on time. Another key component of Denver’s RTD system is the light rail trains that service both North-South and East-West routes. The Lower Downtown district serves as the epicenter for local passenger rail traffic that flows continuously to regular stops throughout the Denver Metro Area nearly 24/7. In many ways, light rail is the root of the booming economic development that downtown Denver has experienced over the past 20 years. Transportation experts tout the valuable role it serves in terms of outskirt resident access to downtown activities, including dining, shopping, sporting events, festivals, the arts, and night clubs. Moreover, growing numbers of Denver residents are choosing to live downtown, where a massive residential construction uptick is in full bloom. But the most significant news for alternative transportation junkies is what’s happening near the historic Union Station terminal. As a part of a $500 million public-private project, the station’s former rail yard is being carefully orchestrated into a 20-acre intermodal hub for the light rail, buses, taxis, Amtrak trains, as well as a commuter rail to Denver International Airport. Targeted for completion in late 2014, this transformation of the area will serve as a critical connection point to nearby commercial office buildings, apartments and public plazas. The airport accessibility component of this project holds particular significance, as it is central to Denver’s reputation as one of the top convention cities in the nation. This will allow the Mile High City to gain traction with other light rail-infused cities such as Atlanta (MARTA), Portland (MAX), Chicago (L), and Seattle (SeaTac) that provide an easy and convenient way to access downtowns from their airports. 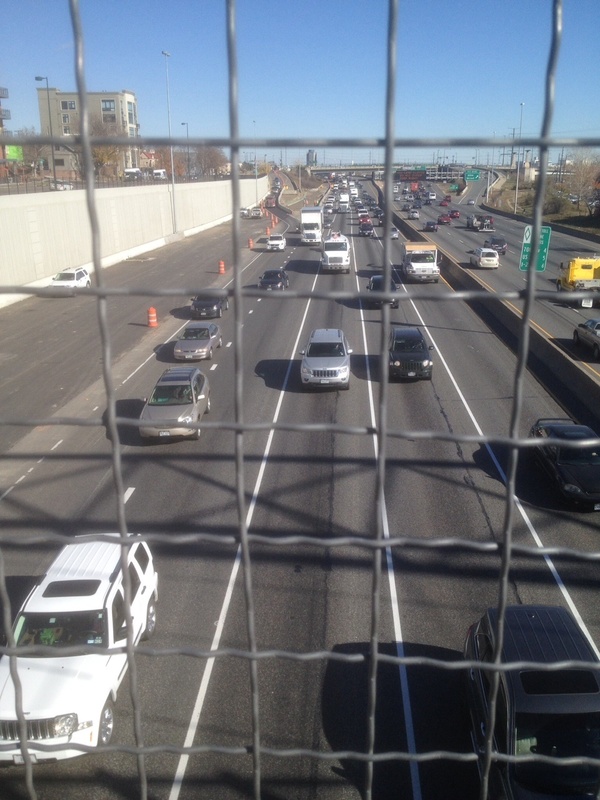 High-functioning transit-oriented cities like Denver also recognize the importance of having a congruent interconnection between the various modes of transportation available. 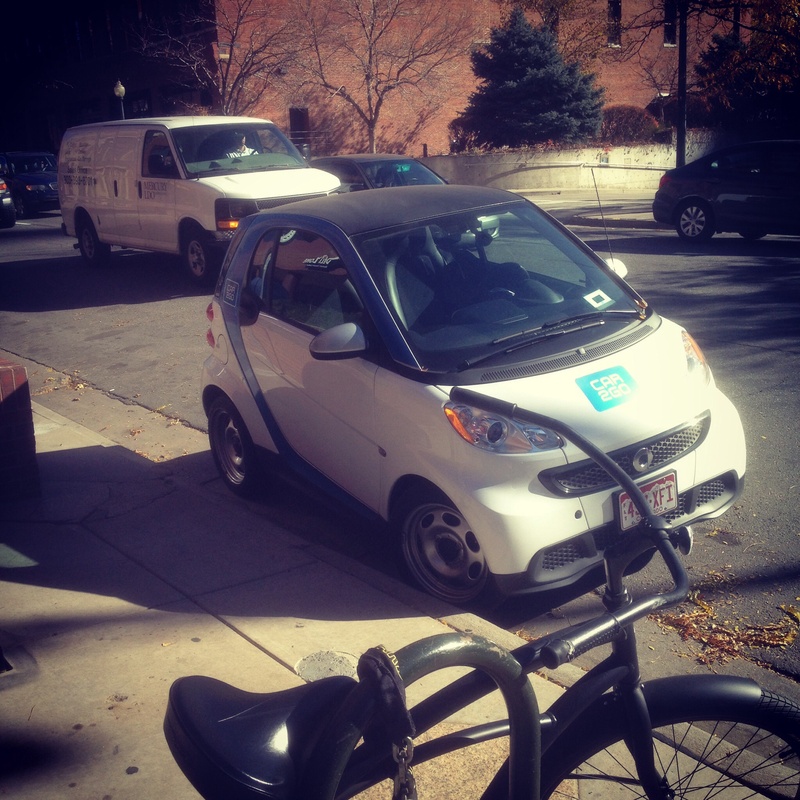 With the popularity of short-term car rental options like eGoCar, Economy Car, Hertz 24/7 and Car2Go, pickup locations are in abundance in Denver’s urban core, near housing centers and adjacent to light rail stations. This allows commuters a convenient, just-in-time medium of transport that keeps them on the move amidst their personal and professional demands. An option that I favor relative to the quick “hop in and go” mobility is the widely acclaimed transportation network Uber. This company connects you with a driver with a tap of a button on your smart phone. They pick you up via their GPS technology, drop you at your intended destination and then charge your credit card that they have registered on file. Uber has had a disruptive impact on the transportation dynamics in cities like Denver, San Francisco, and Washington, raising the ire of local government regulators who see the popularity of this new service as an affront to local taxi drivers. Personally, I think its influence underscores the value of free market innovations that bring real value to a city in terms of competitively priced, efficient modes of transportation. And besides, contrary to the vehement arguments of these regulators, Uber is simply in the business of facilitating the connection between privately licensed drivers with riders. In the end this boost in business for limo companies and their drivers is good for the economy. While car, rail and bus are the predominant means of mobility for most commuters, bicycling continues to show exponential growth in urban centers like Denver, Portland and San Francisco. My first experience in observing the viability of two-wheel transport was while living in Folsom, California, a bedroom suburb of the Golden State’s capital of Sacramento. It boasts one of the top biking communities in the nation, featuring some of the most efficient, well developed sets of bike lanes and arterials anywhere. I also had the pleasure of being employed in Davis, California, widely regarded as the bicycle capital of the U.S. This college town is brimming with a sea of bikes in a manner reminiscent of the urban center thoroughfares of China. And it has the distinction of being the first city in the nation to pilot and implement the now ubiquitous bike lanes. The rise of the bicycling culture in Denver continues to reach new heights, undoubtedly due in part to its health-conscious ethos. Much of this has been buoyed by the emergence of B-Cycle, a smart technology bicycle-sharing system featuring solar-powered stations. 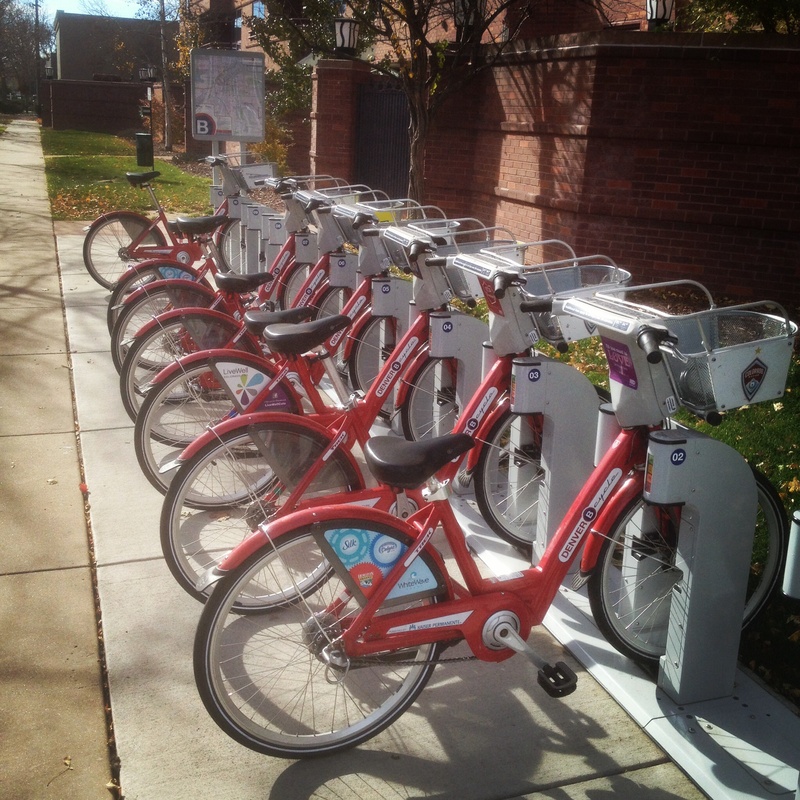 First launched here in 2010 with 40 stations and 500 bikes, B-Cycle is now operating in more than 25 cities nationally. Given the effects of the economic downturn, many cost-conscious Americans are embracing nontraditional forms of mobility on a much larger scale. This is particularly true in geographically and demographically dense city areas, as they allow for easy connection points between destinations. Here in Denver, skateboarding has gone from extreme sport status to a viable means to get around. Motorized scooters also abound among low budget commuters. The future of alternative transportation will continue to take shape as people become more aware of the myriad mobility options available to them. This is great news as it facilitates progress and change in how we navigate cities amidst traffic snarls and congestion. Being untethered opens up new possibilities for how we interact with our communities, families and friends. It allows us freedom to keep moving in a world that increasingly requires us to be fluid and flexible.